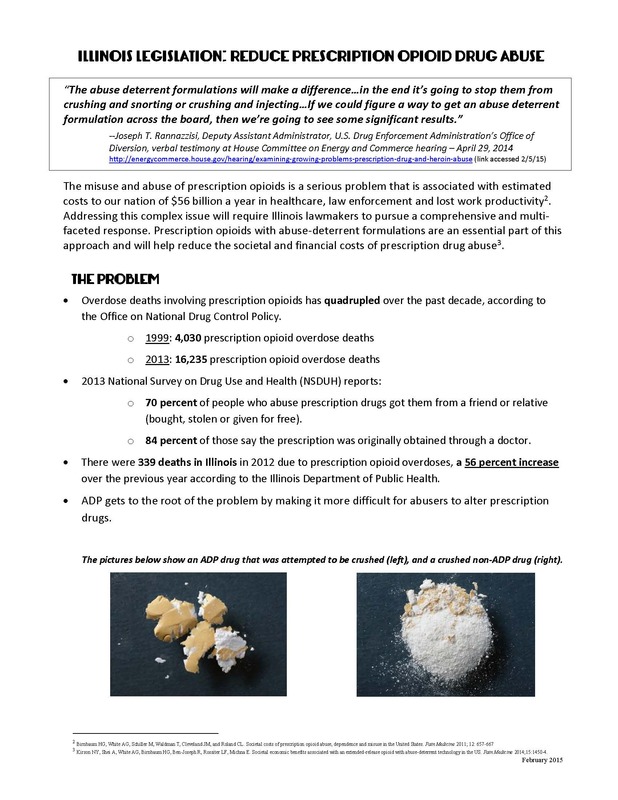 There were 339 prescription opioid deaths in IL in 2012! About 80% of the 120 fatal overdoses per day in America are from opioids. The availability of abusable Rx opioids has sent our country into a tailspin. Faced with the biggest public health crisis in decades, lawmakers are getting crafty with their approaches to reducing initiation to opioid use. 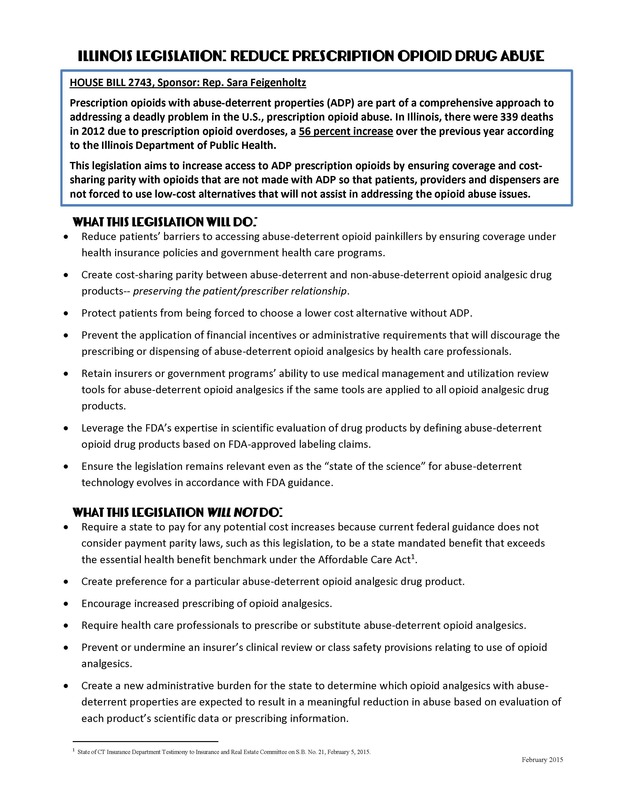 Pharmaceutical companies are developing opioids with abuse-deterrent properties (ADP). To learn more, check out these fact sheets!